Everyone who goes on a track day seems to need somewhere between one and 147 GoPros on their car to get every angle. But now, track day junkies, you need to make a major investment. 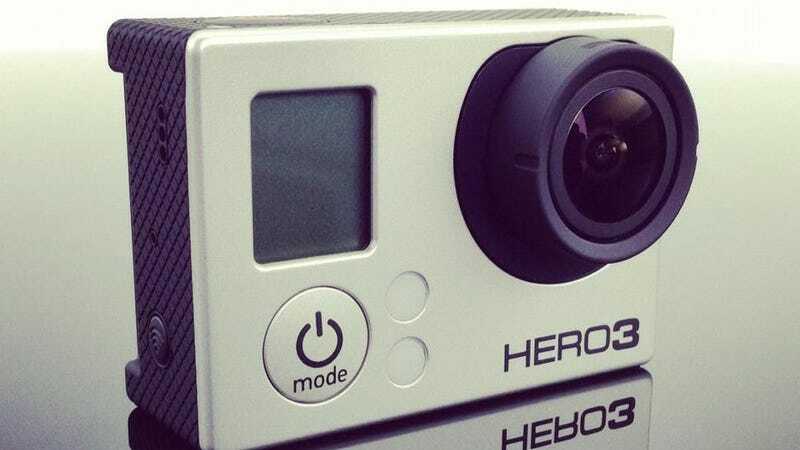 GoPro just released the super high def Hero3 Black. It looks awesome. And damn expensive. Current GoPro cameras can record in 1080p, which is the highest resolution currently supported by mass market televisions. But the Hero3 Black can record at the insane new 4K standard, but will also slow resolution to 15 frames per second. The camera is smaller and lighter, which means you can fit even more of them all over your car. The Black model also has a 12 MP camera, a remote, and built in wifi. The top of the line model costs $399.99. There are other models for $199.99 and $299.99, but they cannot record 4K video and their still images have lower resolution. Hopefully, the wealthiest car owners will fork over the money for the 4K so we can watch them shred tracks — and carbon fiber — in Method Man-high definition.